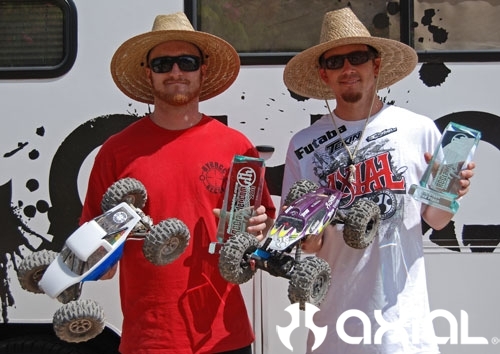 This entry was posted in EVENTS and tagged 2011 AWCC FINALS Axial West Coast Championship INFO, 2011 Nationals, Add new tag, AE-2 ESC, axial 2.2, Axial team driver, Calico, Cisco Grove Campground, face book, Motorama, Randall Davis, ready to crawl, SoCal Regionals, Team Waggoner Racing by Axial Staff. Bookmark the permalink. congrats guys thats awsome!!! what kind of set up were you guys running? any pics of the trucks up close? thats awsome guys congrats again!! !